Team Volunteer - Hangzhou Bicycle Service is the largest public bike hire scheme in the world. 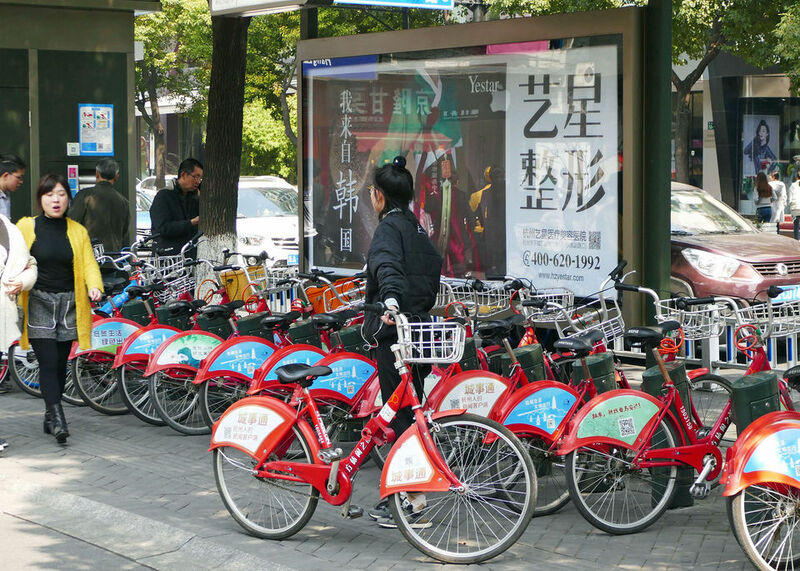 The city of Hangzhou in Zhejiang province is taking affirmative action on air pollution to protect the health of its citizens by encouraging them to use its public bicycle hire service. 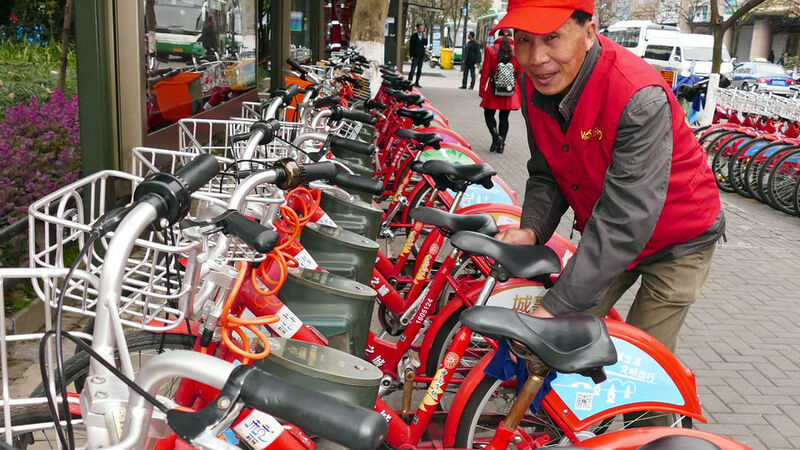 Since the Hangzhou Bicycle Service started up in May 2008, thousands of bicycles have been rented for free more than 700 million times thanks to an innovative financial model. 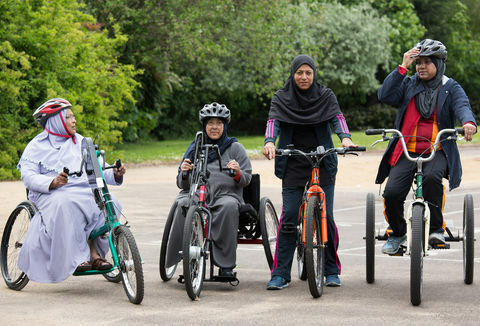 Funded by the government, the project makes a profit – by selling the advertising rights on over 3000 bicycle sites and renting out the service kiosks – which is then used to cover staff salaries and maintain the service. The concept of public bicycles has since spread to 30 other provinces in China and some 207 cities nationwide. The scale and efficiency of this public bike hire scheme – a vital component of Hangzhou’s well-run integrated transport system – is like nothing we’ve seen elsewhere, dwarfing both London and Paris in scale. They are making cycling part of everyday life. The air pollution in China’s cities has been getting worse with more than 70 cities reaching dangerous levels last year. Hangzhou in Zhejiang Province is one such city. It has a population of almost eight million and is an important tourist destination within China with Hangzhou’s West Lake being a popular UNESCO World Heritage Site. 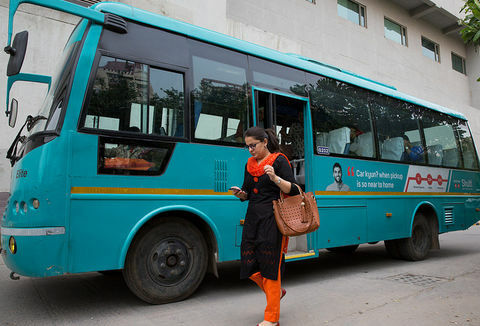 In response to the air pollution and to difficulties in driving and parking in the city, the city authorities aimed to reduce people’s dependence on private cars by increasing the use of urban public transport. Part of this was to provide a transport system which is as convenient as possible to use. Hangzhou Bicycle Service provides bicycles for hire to allow the people of Hangzhou city convenient, affordable and healthy travel options for the ‘first mile’ and ‘last mile’ of daily commuting and for getting around the city. It is one component of the expanding, integrated, sustainable transport system of the city of Hangzhou, which includes buses, bus-rapid-transit (BRT), metro, taxis and public bicycle hire, good bicycle infrastructure (bicycle lanes, bicycle traffic signals) and smart cards useable across the whole transport system (cycles, buses, metro, BRT, taxis and water buses). The Bicycle Service has expanded from 2800 bicycles in 2008 to more than 85,000 bicycles in 2017, with around 350,000 hires per day, 96% of which are free of charge. Most bicycle journeys link to other public transport, so the whole integrated system reduces car use and greenhouse gases. There are 3600 bicycle stands, 200-300 metres apart in much of the city. Prepaid electronic cards are used to hire the bicycles from stands. The same cards are usable across all public transport systems, including taxis. After paying a deposit, the first hour is free and a subsequent free hour can be gained by docking and undocking in a stand. The bicycle stands are supervised by attendants. They help customers and report repair needs. 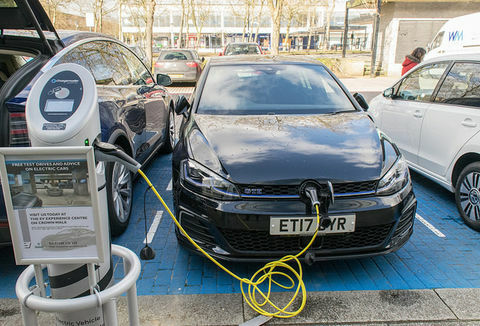 The company provides an efficient and user-friendly service, with good service standards including a helpline and insurance cover for all trips. 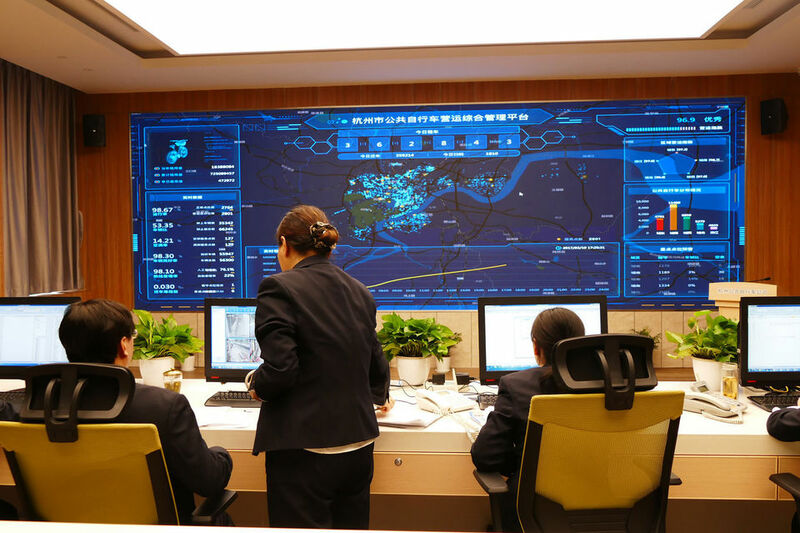 Control room in the Hangzhou Bikes offices. With real-time data and statistics, the team of women and men can sort problems quickly and send people to redistribute bicycles if there are empty stands. The company has developed an impressive real-time management system, which allows the control centre to see every stand and where there are bicycle shortages and excesses. The bicycle service has several teams that redistribute bicycles daily from full stands to empty stands. The control centre also has real-time indicators of the system’s efficiency in terms of full/empty stands, help-line waiting time and bicycles in use. 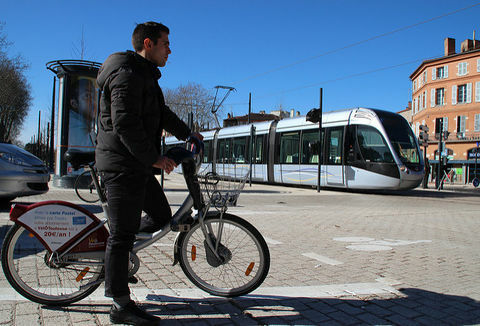 All the investment costs for the Bicycle Service have been met by the city authorities. This includes bicycle purchases, bicycle parking stand costs, kiosks at bicycle stands and control system. In addition the city authorities provided the funds and allocated the pavement space for the bicycle stands. Some of the bike stands have integrated matching kiosks which can be used as stores for the service workforce, for ATMs, or retail outlets for drinks or tourist information. While the capital costs for the scheme are all met by the city, the company covers its operational and wage costs for the management, maintenance and customer care teams through: income from hiring bicycles (although most hires are free, 4% is still significant); renting advertising space at the bike stands; and kiosk rent. Additional income comes from advisory services offered to other cities as well as from the sale of their software and technologies. 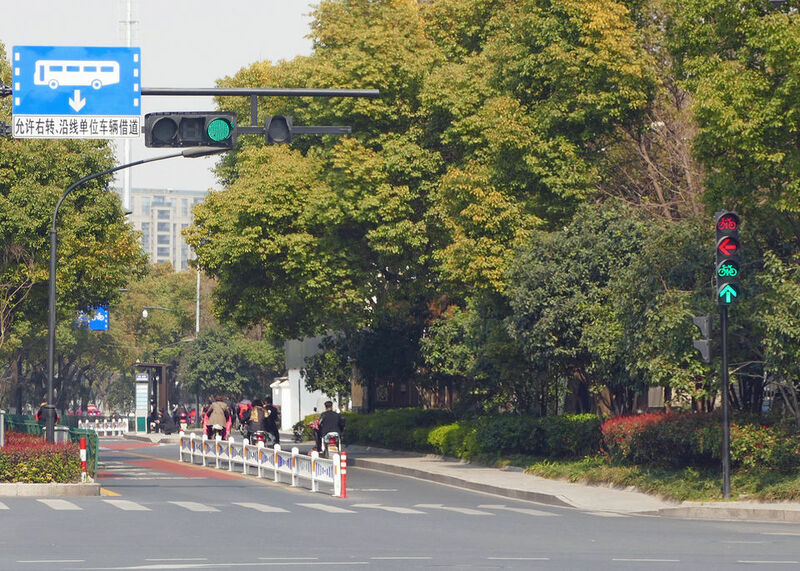 Hundreds of thousands of people in Hangzhou (750 million uses from the start, about 115 million uses per year) benefit from the free use of the bicycle service as an integral part of a well-planned integrated public transport system that provides large numbers of dedicated, separated cycle lanes. 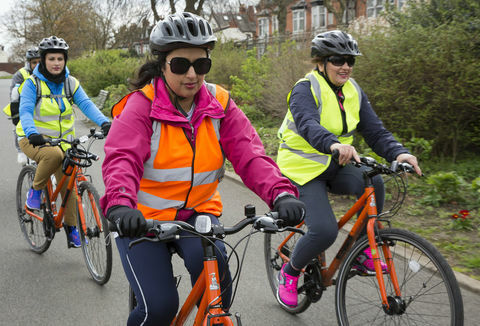 Cycling is likely to provide health benefits from exercise and the service, as part of the integrated public transport system, will be reducing greenhouse gas emissions, and improving the air quality. It is difficult to disaggregate the particular GHG benefits of the bicycles since they are part of an integrated system, and bicycle use often replaces walking to and from public transport rather than replacing car use. However, the combination of convenient and free bicycles, good separated bicycle lanes and good public transport appears to have led to reduced use of cars and their associated congestion, pollution and GHG emissions. Hangzhou Bicycle Service plan to expand the number of bicycles and stands when and where there is an identifiable demand. There are a growing number of competing private bicycle share schemes in Hangzhou which use mobile phone apps. In response to this, the Hangzhou Bicycle Service is updating their software with a mobile phone app and are considering adding GPS to their bicycles.